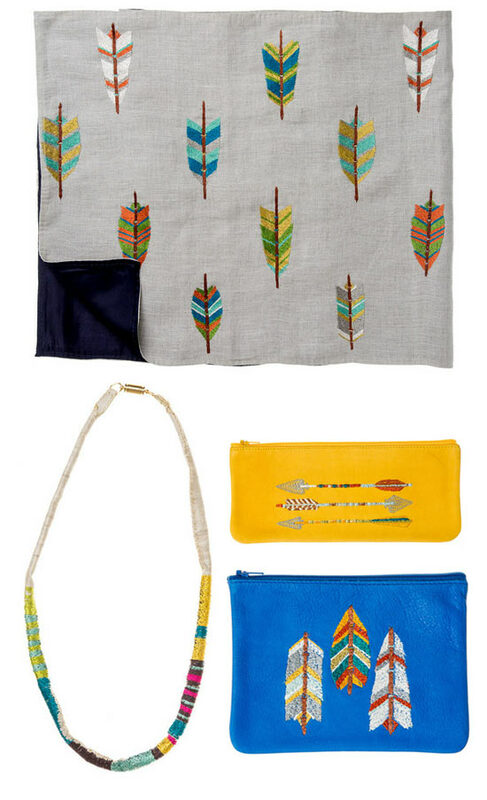 New York based Coral & Tusk recently debuted a colorful new Adorn accessories collection which includes pouches, jewelry and scarves. The leather pouches were created through a collaboration with Brooklyn based designer & leather maker Tracey Tanner. Between Jan's post on embroidery and these pretty feathers, I just might have to (finally) learn how to embroider. These are all so beautiful! I love all of the colours!